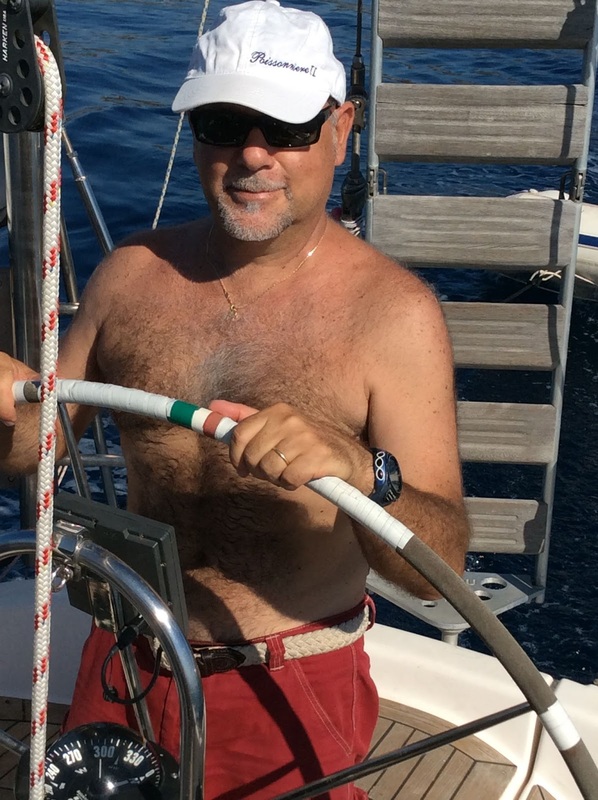 Bob, a journalist and an airplanes private pilot, is said to be born…close hauling, and that is probably the reason why his passion for sea and sailing has gone along with all his activities, from the newspapers to the clouds. 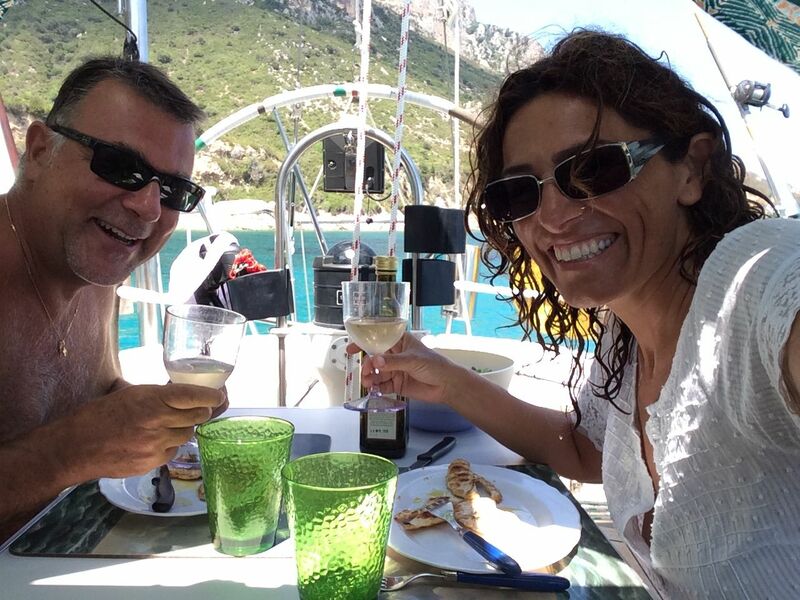 He has jumped into a sailboat whenever he could, following all the courses at the prestigious Centro Velico di Caprera sailing school in Sardinia and finally buying his first sailing boat, a wonderful 28 ft, traveling with her for many miles across the Mediterranean. Giusy, a half Sardinian (her mother is from the island), is a molecolar biologist and a marine biology scuba instructor. She has always seen the sea from below, collecting hundreds of dives in Italy, Indonesia, the Philippines, the Caribbean. One day, as soon as she came to the sea surface, she saw a sailing boat with Bobo holding the rudder and from that moment she realized she loved the sea from above too. Together they started to look for their new sailing boat. But it was the Sirena to find them. And here they are, our mascottes, Charlie (dog) and Nascar (cat). Perfect sailors, although they often prefer to wait for us at home!